Happy Bookiversay Lester’s Great Adventure! I can’t believe on year ago today my first book was released to the world. Since then over 75 copies have been sold. The real Lester, aka Lupin, would love to celebrate this awesome day, but he’s busy sleeping, dreaming of the wet cat food in a can. Now, for my super exciting news. I will be a vendor at BookMarkIt! Bookfair on May 4th, 2019 in Whitby! 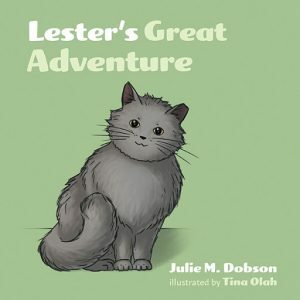 I’ll be selling copies of Lester’s Great Adventure, so be sure to come down and say hi. I may even have treats (unless I eat them all, no promises). For more information about the event, follow this link!